Hereditary Prince Alois is on a visit to neighbouring Switzerland today where he met with Johann Schneider-Ammann, the President of the Swiss Confederation. 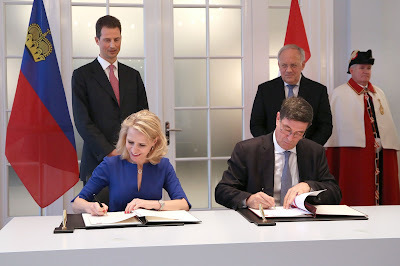 The duo saw the ceremonial signing of a joint declaration to work together closely on the issues of education, science and research by their governments. More information is available at Volksblatt.